This mask will be applied to the Phone variable of the String type. 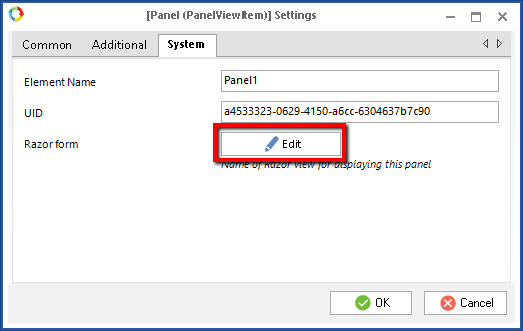 To add razor to a form, open the form builder. 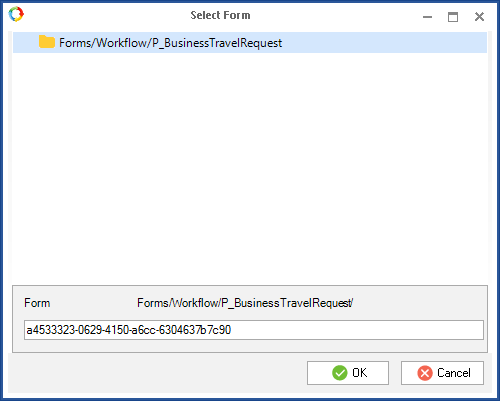 Open the task settings and select the Form (context) tab. 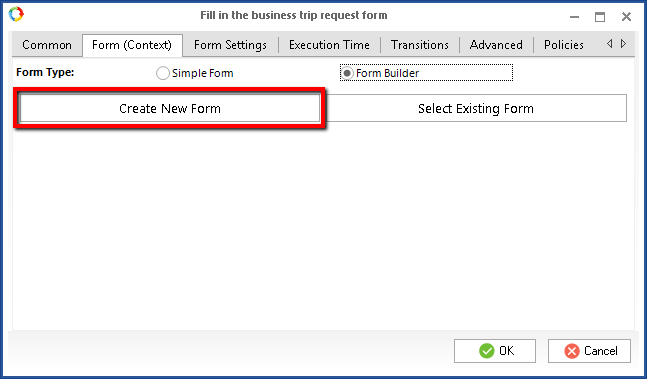 Select the Form Builder form type and click Create New Form. In the form builder add a Panel element to any spot on the form. In the opened window, you can change the view name (optionally) and click OK.